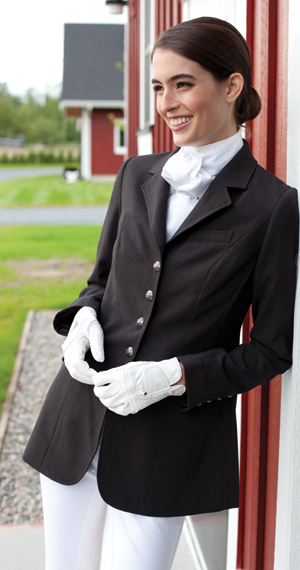 Our Dressage Show Jacket – Can You Resist? Our classic show jacket design features four buttons on front, a center slit on back, and elbow patches. Created with our signature suiting fabric – with slight stretch for ease of movement. This unique design features 3 buttons on the front and 2 slits on the back. Shorter length jacket. Created with our signature suiting fabric – with slight stretch for ease of movement.